Deckman's en El Mogor, Valle de Guadalupe. 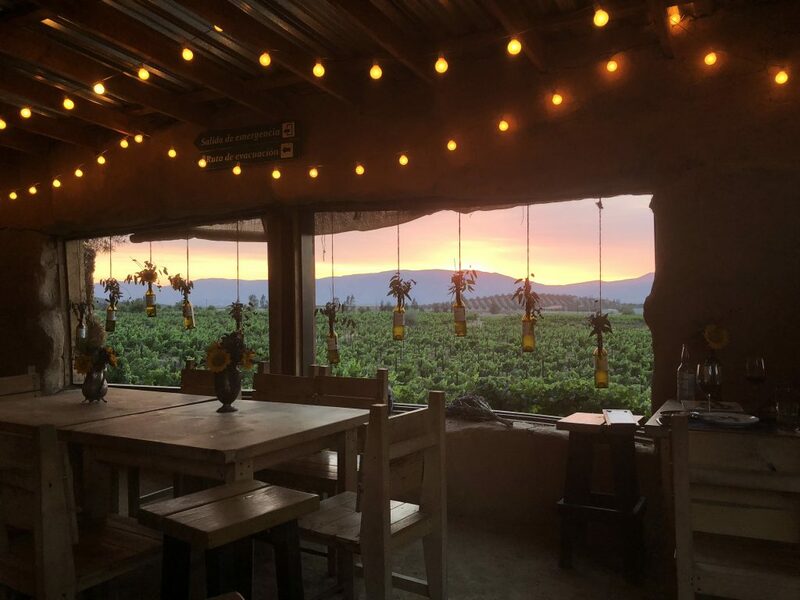 In addition to its experimental viticulture and award-winning culinary options, the Valle de Guadalupe – Baja California’s wine country – is known for its breathtaking views. 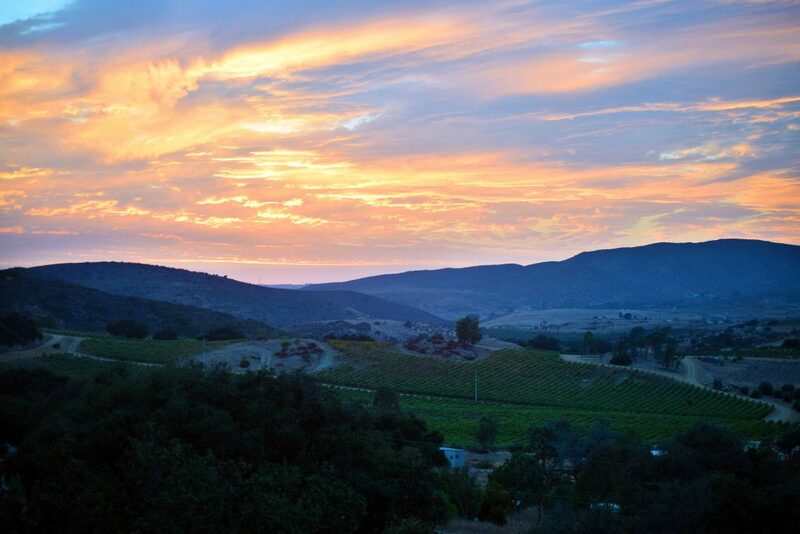 Visitors are treated to wide-ranging vistas of the two mountain ranges that cradle the valley, rolling hills lined with grapevines, fertile farms, winding roads and an impossibly expansive sky that changes its attitude with the season. Fina Altozano, Valle de Guadalupe. True to its name, Finca Altozano is a farm-to-table restaurant located on an altozano (hillock) in the middle of the Valle de Guadalupe. A seat at “Finca” comes with a vista of Bodegas Mogoni’s lovingly-tended vines, the restaurant’s onsite garden and wide-open pasture. Guests can further elevate their perspective atop one of the restaurant’s large modified wine barrels. 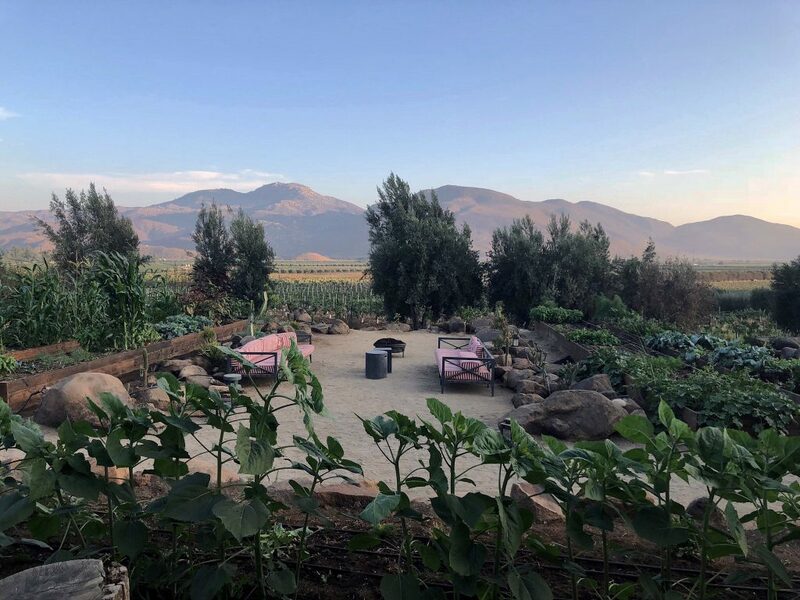 Malva welcomes visitors arriving to the Valle de Guadalupe from the south in a hillside palapa with extraordinary landscapes — primarily of winery Santo Tomas across the road from the restaurant on Highway 3. A short hike up to the property’s farm reveals an aerial view of its host vineyard, Viñedos Mina Penélope and the southern end of San Antonio de las Minas. Viñedos de la Reina, Valle de Guadalupe. Viñedos de la Reina translates as “Vineyard of the Queen”. 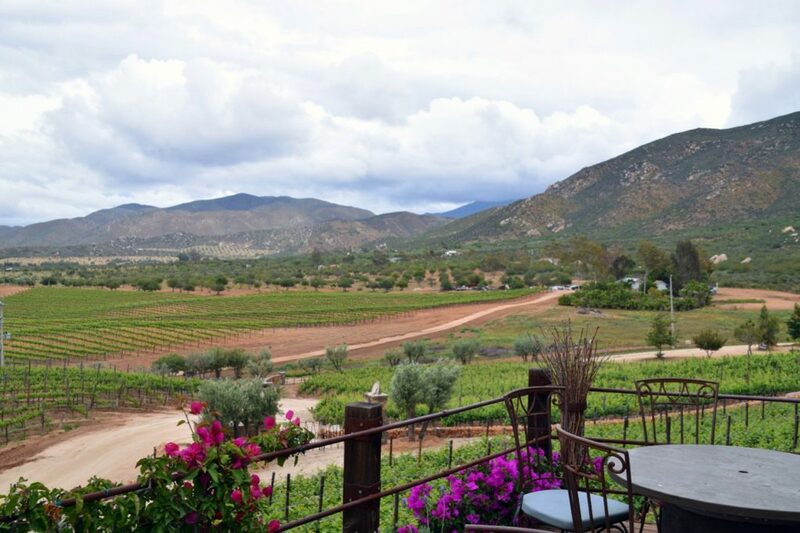 While enjoying a glass of their award-winning Cab or one of the Valle de Guadalupe’s only Pinot Noirs, one can survey the majestic scenery of the valley’s northern end. Perched atop a hill, Viñedos de la Reina’s vineyard lies just below and L.A. Cetto’s capacious property just beyond. Restaurant Fauna, located at Bruma, is another eatery built on a hill in the central part of the Valle de Guadalupe. From architect Alejandro D’Acosta’s rustically-designed restaurant and patio, the perspective across L.A. Cetto’s vineyards to the eastern range is drop-dead gorgeous. Fauna is another must-visit spot for sunsets. Viñas de Garza, Valle de Guadalupe. Visitors to Viñas de Garza sip the winery’s fruit-forward wines – typical of the Valle de Guadalupe before the introduction of European winemaking techniques – on a spacious bougainvillea-embraced patio with a generous view. Located just north of Deckman’s, the landmarks are similar but from a higher vantage. La Esperanza Baja Med, Valle de Guadalupe. 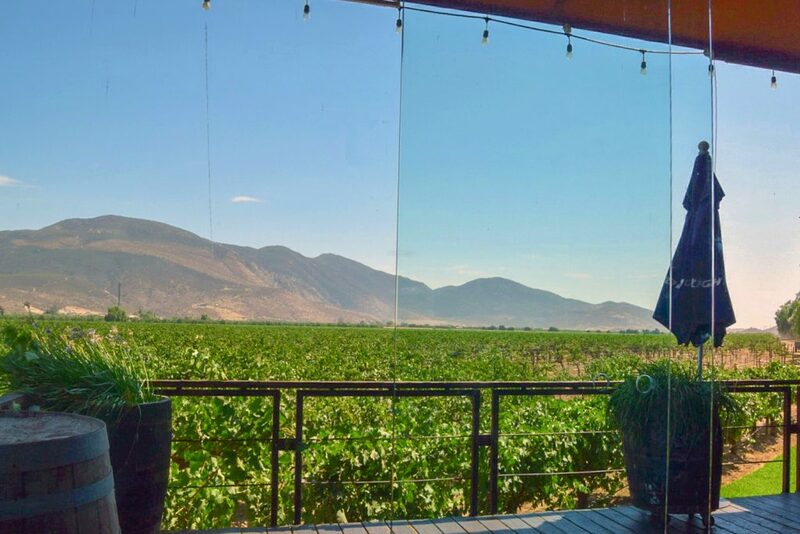 Chef Miguel Angel Guerrero’s La Esperanza offers his trademark Baja Med cuisine and one of the Valle de Guadalupe’s most breathtaking landscapes. The restaurant is located at the western edge of L.A. Cetto, Mexico’s largest winery, and open on one side to a panoramic view of their perfectly manicured vines and the eastern range beyond. Deckman’s en El Mogor, Valle de Guadalupe. When making a reservation at Deckman’s en El Mogor – arguably the Valle’s best al fresco restaurant – it’s smart to book an hour or two before sunset. That allows plenty of daylight for food photos and a terrific spot from which to watch the sun as it sets below the top of the western range opposite Deckman’s hay bale dining room windows. L.A. Cetto, Valle de Guadalupe. L.A. Cetto’s bullring and entertainment complex lie a short distance from the ground-level winery up a private road in the foothills of the eastern slope. Here, one can enjoy a sweeping, hilly, vineyard-laced command of nearly the entire valley as it stretches to the south toward San Antonio de las Minas. Bar Bura, Cuatro Cuatros, Valle de Guadalupe. 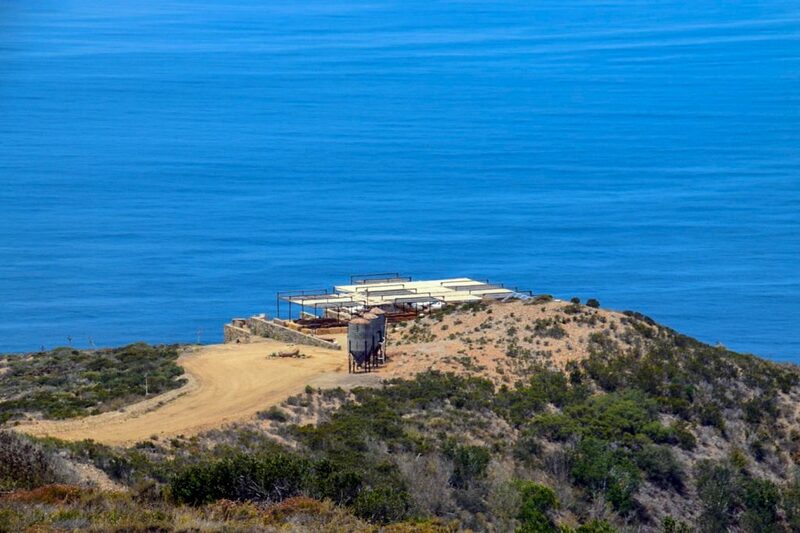 Open-air Bar Bura at Cuatro Cuatros roosts atop a rocky cliff on the western edge of the Valle de Guadalupe and affords panoramic views of the Pacific Ocean and the Baja California coastline. Sunsets here are de rigueur. 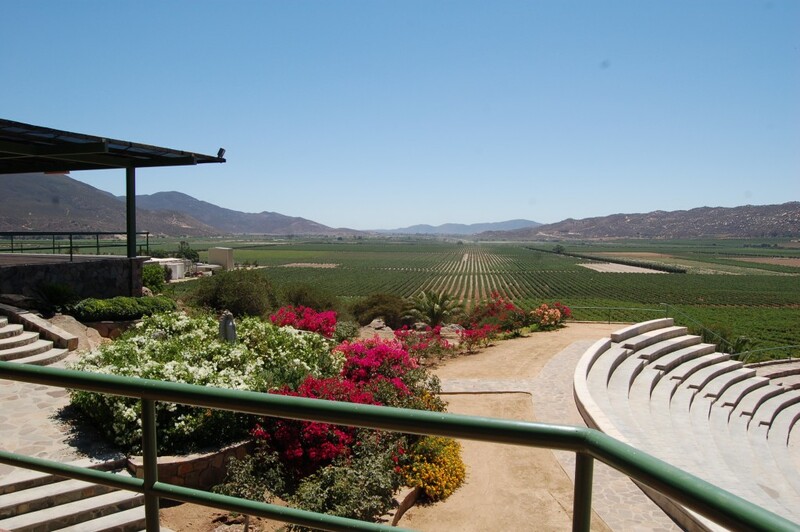 A mixed mezcal drink or a glass of Valle de Guadalupe wine are perfect complements to the heavenly scenery. Encuentro Guadalupe, Valle de Guadalupe. 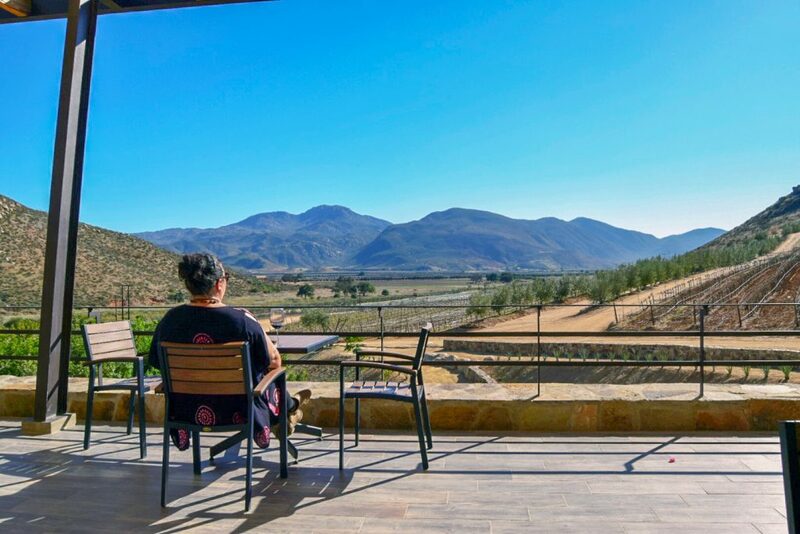 The best view in the Valle de Guadalupe may be from the Encuentro Guadalupe resort, whose foothill-hugging “eco-pods” have graced many a travel story published on the region. The resort’s main building, which houses a full bar and the excellent restaurant Origen, opens to a sweeping birds-eye view of the northern and central valley below. Buy a signed copy of A Gringo in Mexico’s book on the Valle de Guadalupe, Seven Days in The Valle HERE. On sale for just $19.99! 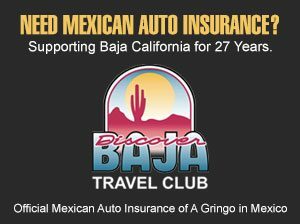 When A Gringo in Mexico drives down to visit the Valle de Guadalupe, we do it with confidence, knowing that all of our Mexican insurance needs are covered by Discover Baja Travel Club. For over two decades, they’ve offered the highest-quality Mexican auto insurance at the best prices. When A Gringo in Mexico visits the Valle de Guadalupe, we stay in style at Maglén Resort. Situated at the heart of Baja California’s Wine Route, Maglén is a group of three boutique hotels with great quality and an innovative concept. 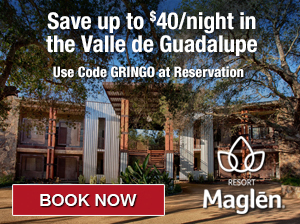 Use Code GRINGO when you make your reservation and save $14-$40/night! Bar Bura is in Ensenada not in Valle de Guadalupe. Thank you for your comment, Diana! 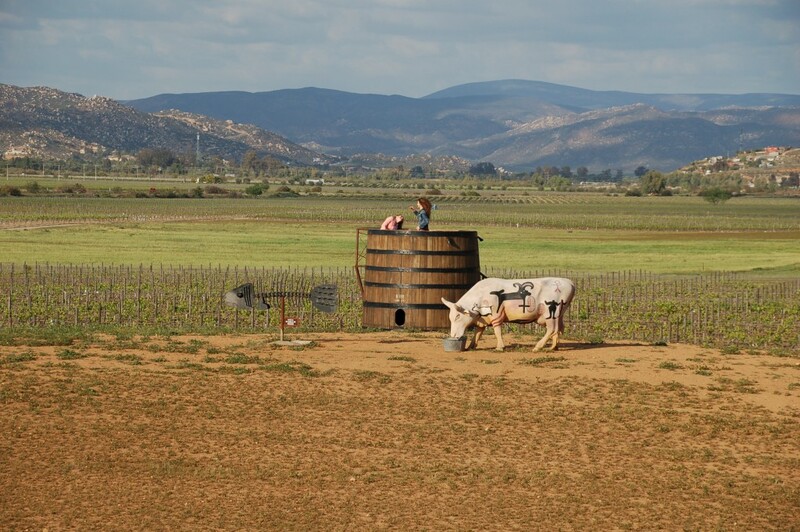 It is not in the Valle de Guadalupe, which is why we mentioned that it was on the “western edge”. We wanted to make sure to include this view as it’s a great end to any day in the Valle with sunset cocktails over the ocean. Provecho! Couldn’t agree more with the number 1! 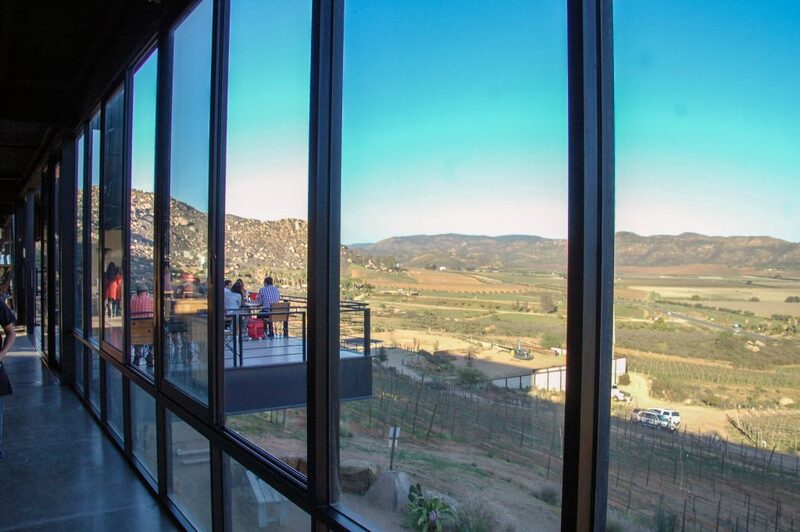 Encuentro Guadalupe has the best view, next time enjoy the view from their oyster bar. It is exquisite! Hi Tallulah! Thanks so much for your comment 🙂 I noticed that the oyster bar was open when we visited recently and made a mental note to try them out on one of our next visits. Thanks for the recommendation! We did try the oysters at restaurant Origen, and the smoked oysters there made our Top 10 Baja Bites list this year!